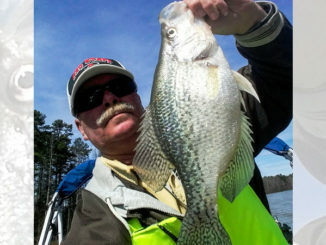 Crappie are a great target for kayak-bound anglers in the spring, when fish get shallow in places paddlecraft are welcome. With spring in the air, crappie season can’t be far behind. Crappie fishing from a kayak frequently gets less attention than casting artificial lures to fish such as bass, redfish and speckled trout. 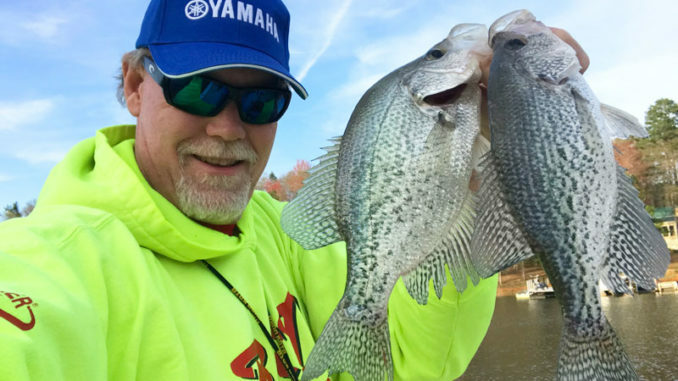 Powerboat anglers targeting crappie using multiple rods in rod holders probably dissuades many paddlers from considering crappie as a worthy target for single pole fishing with artificial baits. During spring, crappie offer a kayak angler with a fishing rod in one hand and a paddle in the other a smorgasbord of opportunities. Crappie can be cast to in the same manner as bass and redfish using much smaller offerings that consist mainly of 1- to 3-inch jigs. Crappie can also be jigged, using a traditional long, slender pole to dip a plastic or hair jig vertically around structure. Even if the kayak angler prefers to use live bait, they can easily store a small bucket or container of minnows on a kayak. Live baits can be fished drop-shot fashion using a 3/8- to ½-ounce weight and a hook tied in-line to target fish holding on or near the bottom and tight to cover. Jigs and live bait can also be fished under a cork. 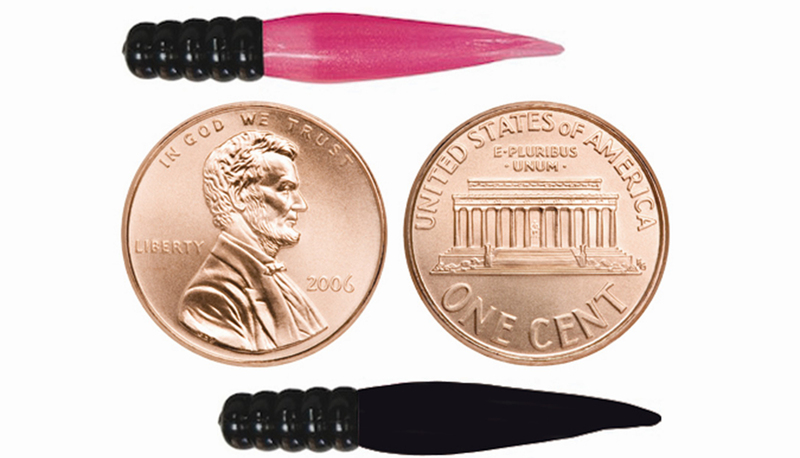 This will position the bait at the appropriate depth using the rod to impart action to the bait. 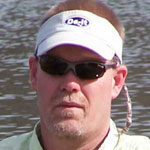 The versatility of the car-top kayak is that anglers can access backwaters where crappie congregate to spawn. These areas never see any amount of fishing pressure from anglers in powerboats. Those craft are too large to get into shallow, tight spaces which are out of reach from shore-bound anglers. One positive aspect of two years and counting of above-average rainfall in the Carolinas is that formerly dry pockets in the backs of creeks and coves and areas cut off from the main body by road crossings are chock full of perfect spawning cover and now flooded with fishable water. Finally, multiple-rod tactics from a kayak are not out of the question. With developments in kayak rigging, gear tracks can be installed practically anywhere on the boat. So anglers can attach multiple adjustable rod holders. 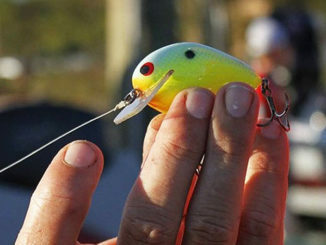 And the kayak angler can push or pull baits the same as power boating anglers. But they do it using pedal or paddle propulsion to move the boat forward. Many fish use man-made structure as prime habitat, especially crappie. Areas like docks and piers are top-notch, fish-holding structures but are difficult to fish using conventional techniques. Obstructions leave little room for casting. A kayak angler with proper ‘shooting’ skills can turn a row of docks into a day of action. Shooting is a casting technique that utilizes the action of the rod to sling-shot a bait under overhead structure. It lends itself well to the kayak; a water-level perch is an advantage. Start with a 51/2-foot, fast-action spinning outfit suitable for crappie. Shooters typically choose small, compact baits likely to skip across the water’s surface to reach the far recesses of the target. Lead jigheads with soft-plastic trailers or hair bodies are top selections. Spoons, plastic worms and tough live baits also often produce. To execute a shot, leave 2 feet of line dangling from the rod tip and grab the bait by the bend of the hook with the thumb and index finger of your free hand, making sure to keep other fingers out of the way. Open the reel’s bail and grab the line between the index finger and thumb of the hand holding the rod. Pull the bait down and back toward your body and extend the rod forward, causing the rod to bow over in the middle. Targeting is instinctual, similar to shooting a longbow. You can “aim” the rod by looking down the spine. Practice and experience quickly build muscle memory and hand/eye coordination. 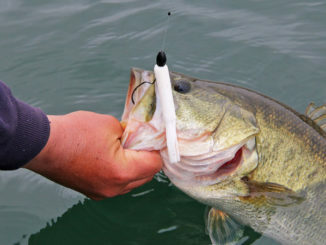 Release the bait, which snaps the rod tip forward, launching the bait toward the target. With proper timing, the line is released from the other hand, allowing line to peel off the reel without impeding travel. Any opening small enough to fit a bait into is fair game, so don’t overlook gaps between pontoons in floating docks or a stationary platform that sits low to the water. A skipping bait closely mimics fleeing prey, and many bites will come as soon as the bait starts to sink. Leave the bail open and allow the bait to free-fall through the structure, watching closely for any twitch in the line signaling a bite. HOW — Vertical jigging bridge pilings. White crappie will be in prespawn during March and will be staging around structure in deeper water. LAUNCH — Seaforth and Poplar Point are public ramps a short paddle from several good bridges. INSIDER TIP — Jordan Lake has a 10-inch size minimum that differs from other North Carolina lakes. HOW — Slip-cork fishing. Tie a slip cork about 3 feet above a 1/16-ounce jig and cast the rig around docks, laydowns and visible structure near the backs of creeks. Black crappie will be pre-spawn until about mid March, then look for them to move to the bank. LAUNCH — The back end of SC Little River has several boat ramps and dump-in sites near SC 81 and SC 28.
INSIDER TIP — Clarks Hill recovered from a drought two years ago and has had nearly full pond. Look for crappie to spawn in small brush that grew up around the banks during the drought. 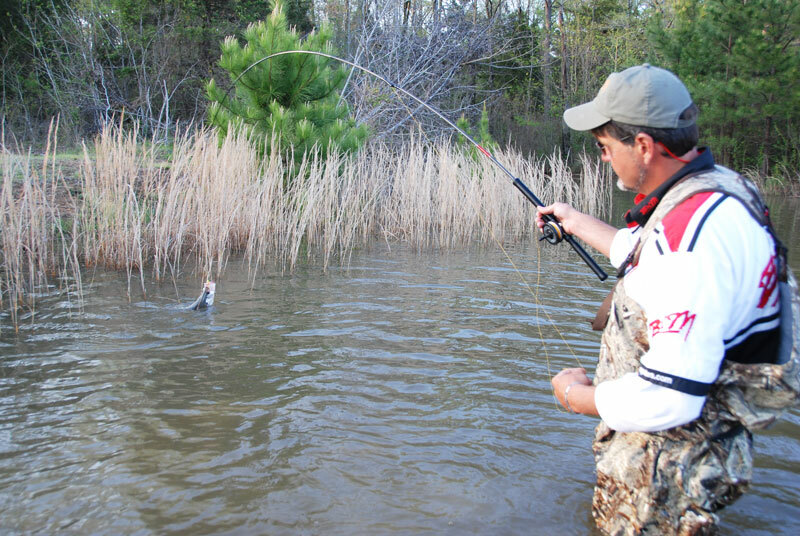 Crappie fishing while wading requires the use of only a single pole, and the longer rods favored for typical vertical jigging situations are often cumbersome. Ronnie Capps and Steve Coleman, national champion crappie fishermen, wanted a great rod for casting or dipping, with a slightly stiffer action designed for wade fishermen. The pair laid out their specifications, and B’n’M Poles delivered. The result was an all-purpose rod in either 8- or 9-foot lengths that features a bottom-mounted cork reel seat and a blank made of IM6 graphite. Although designed for wading, many kayak anglers have discovered the wading rod is plenty long enough to wrestle a crappie around the bow of a boat with plenty of backbone left to pull spawning crappie out of heavy cover where kayak anglers excel. Bobby Garland’s Itty Bit Slab Slay’R is a little, soft-plastic crappie bait that catches big crappie by imitating a variety of preferred crappie meals ranging from insects to minnows. The Itty Bit Slab Slay’R measures 11/4 inches from nose to tail. Its body is round and solid and makes up about a third of the overall length. The lure’s thin, flexible tail is also diminutive, but its design serves up big performance. It is cupped coming off the body and narrows to a point. Rigging it on a jighead either cup up or cup down totally changes its action, even as small as it is. When rigged cup down, the fall is more vertical and delivers greater vibration to the tail’s tip section, because the cup is trapping water. This is a great rigging choice for when crappie are finicky and want minimal lure movement, or when heavy cover warrants more angler control of the bait to minimize hang ups. When rigged with the tail’s cup faces up, the fall is more of a darting action because the convex surface of the tail makes the lure glide. This rigging action is ideal for bouncing the jig along breaklines and when fishing around more open-cover areas. Itty Bit Slab Slay’Rs, because they are little, work best on smaller jigheads. Garland’s Itty Bits Jigheads are made specifically for these baits and feature No. 8 hooks on 1/48- and 1/64- ounce Itty Bits jigheads are unpainted. MSRP for a 20-pack is $3.59. Available at bobbygarlandcrappie.com or Bass Pro Shops.